An event flyer is a fantastic way to visually excite potential attendees, while providing information on your event in a concise way. 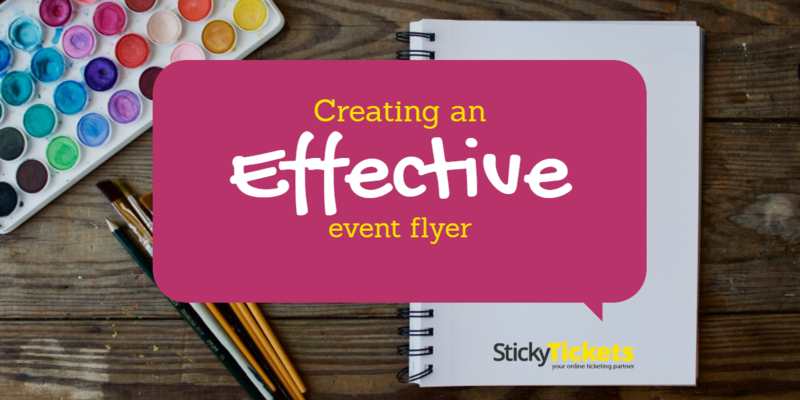 Creating an effective event flyer can be very inexpensive- particularly with all the free online DIY tools and templates now available- and can be easily shared online across many different channels, especially social media. They can also be printed up where needed. In order to make your flyer work as effectively for you as possible, keep these tips in mind when creating it…. Ensure your headline or title grabs attention (usually your event name, which is why it should be catchy). Your graphics should be colourful and interesting. One large image is better than many smaller ones- maybe attendees enjoying your event from last year, or any other image which will help sell your event. Focus on the benefits of your event, and why attendees would want to come, but remember too much copy will over complicate it and make it more difficult to read. Make your points concise and easily identifiable. Consider using a testimonial from a happy customer at last year’s event. Brand your event flyer. If you have a logo you can include that for recognition. 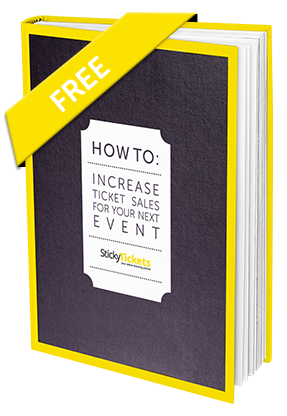 Always include the event details such as date, time, location, ticket prices, and a call to action. Don’t forget to let potential attendees know how they can purchase the tickets, by including your Sticky Tickets event URL. If sharing on social media or anywhere online, you can always include a direct link with your flyer. Check and double check your flyer before publishing- a flyer with mistakes in it (especially event details!!!) will certainly not help sell tickets. An event flyer can be a valuable promotional tool. When you have created your great looking, professional flyer, you can add it in the event description or upload it to the image gallery on your event page. That way your flyer will be the image shown when your event shows up on searches on the Sticky Tickets website.